You all my have noticed that I use the Signo white gel pens, ALOT. I jokingly asked if I needed to do a seminar on them, and then was told "Yes, yes you do!" 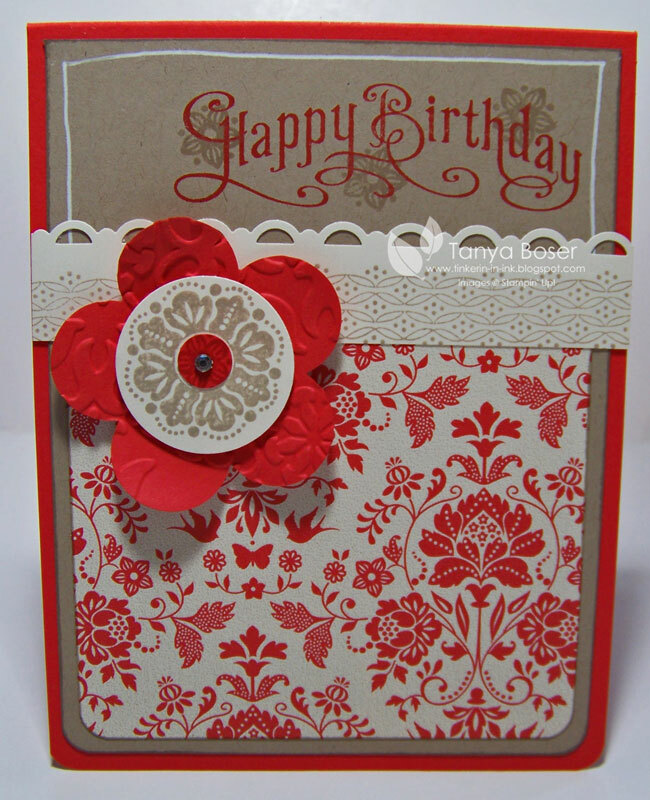 Here is one of the cards you get a peek of in the video. I made 2 baby cards, one boy and one girl, for those times when I need one now! Lots of retiring stuff here, but I still love it all! And the girl version! 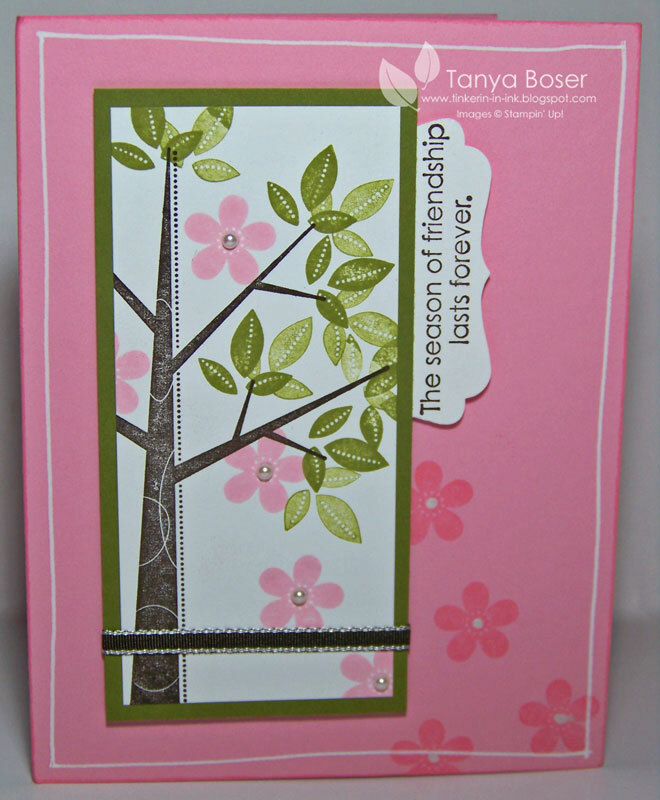 Add a few punches, substitute the Basic Pearls for the ribbon and button , and Blushing Bride foe the Peach Parfait. 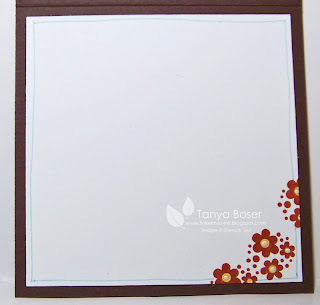 So, pull out those Signo white gel pens and give these tips a try! 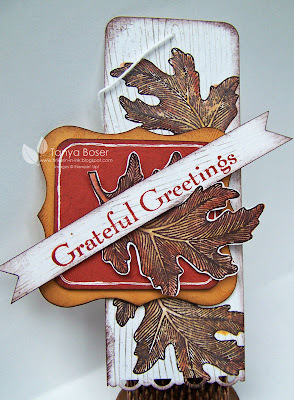 I am featuring the Autumn Splendor set, which I LOVE and will never part with. I love leaves of any kind, and this set is just fantastic! 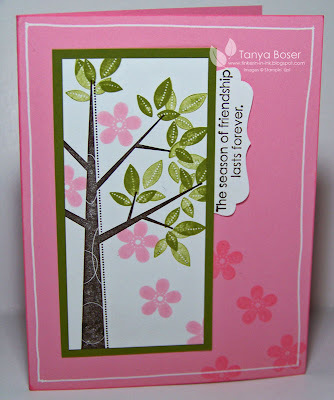 My second project is a gift tag. 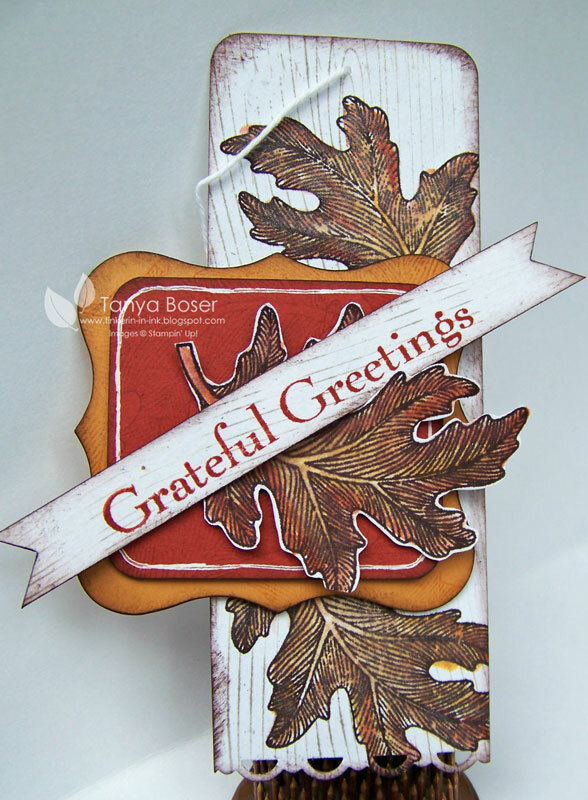 I used a blender pen to color in the leaves and trimmed one of them out to layer on the tag. The curvy mat is from the Peek-A-Boo Frames die. Father's Day is coming and this is a perfect set for dads. Lots of clean lines and natural images, how can you go wrong?! I used the Best Dad Ever set also. 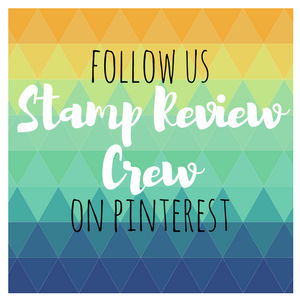 I stamped strips of paper and lined them all up and I love how it turned out. I see a pattern here though. I think I have used Naturals White on every one of these projects! 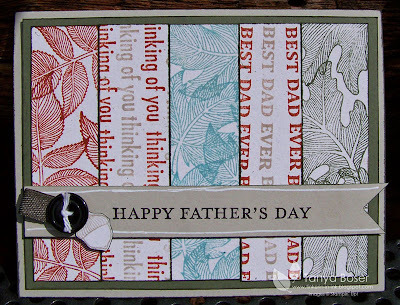 I guess it is because this stamp set really stamps nicely on this card stock. Love it! I was digging through my stash and found some precut bits I got in a grab bag from the Stampin' Up Clearance rack last year. I became determined to start making stuff with those bits. SO I had a white square to mat on a More Mustard square, hmmmm. It is spring, how do I make this work? So I started hunting for color combos. Now, I am about to share a secret source here.... 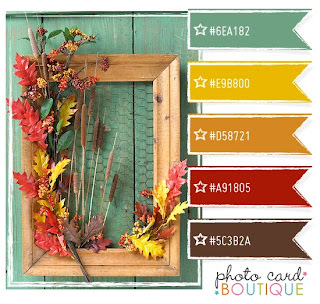 I found it through Pinterest and I love the color combos on this site! Isn't this gorgeous?! 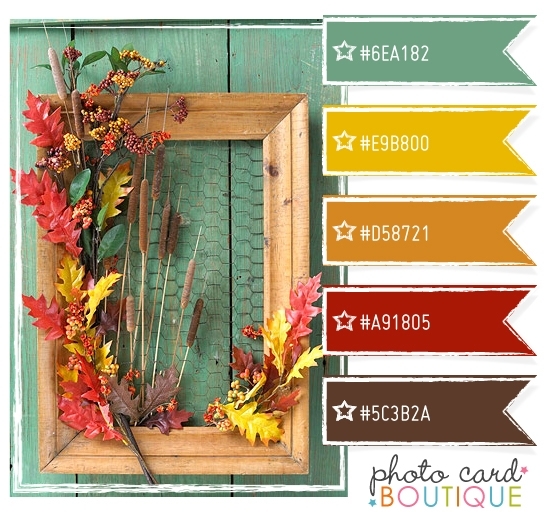 The site is Photo Card Boutique and has fantastic color combos. Very trendy. The colors are brighter in real life, it is a rainy day as I am typing this so lighting was a bit of an issue, sorry. That is Baja Breeze, which matches the color in the inspiration photo, I promise! And this card definitely had a mind of its own, evolving as I went. It has a real feel of country charm to it, if a bit on the autumn side. 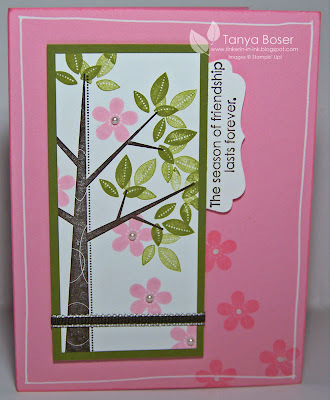 Or rainy side, with the muted colors... And that lovely little sentiment tag, that covers on opportunity for embellishment, lol! I smeared the accent ink while drawing the white outline. And would have thought House and Home would coordinate so well with Triple Treat?! Wow, I didn't realize how many accessories I used until I typed it out! Crazy! 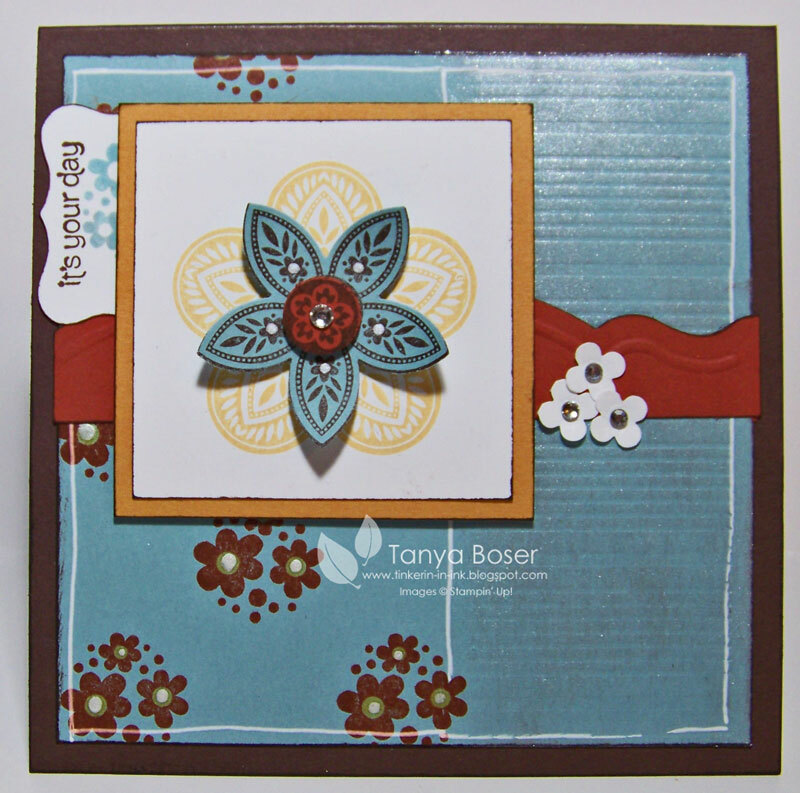 Inside has a few more flowers, and you can see a little better that I colored the centers with Daffodil Delight, then put a dot of the Moonlight Accent ink in the centers also. A little overkill? I think not! Happy Monday everybody! 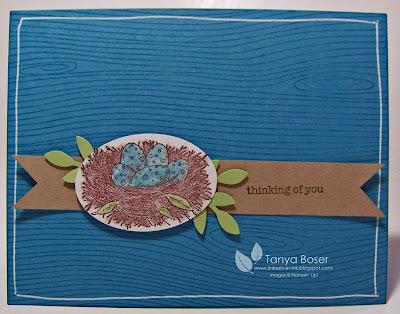 Let's start this week out bright and cheery :) This card came about from leftovers from a page I made for a workshop. Did you know that the Summer Smooches DSP has lots of gender neutral patterns?! Love this! 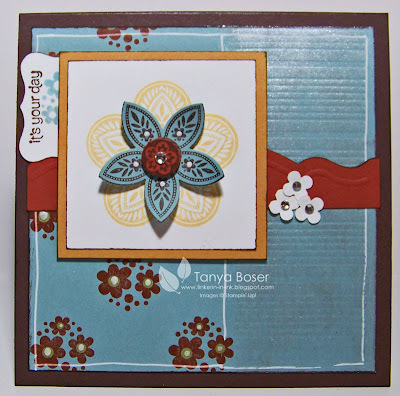 The workshop I did on Saturday was with a fun group of ladies who were doing a scrapping retreat, and one of the ladies only does cards. 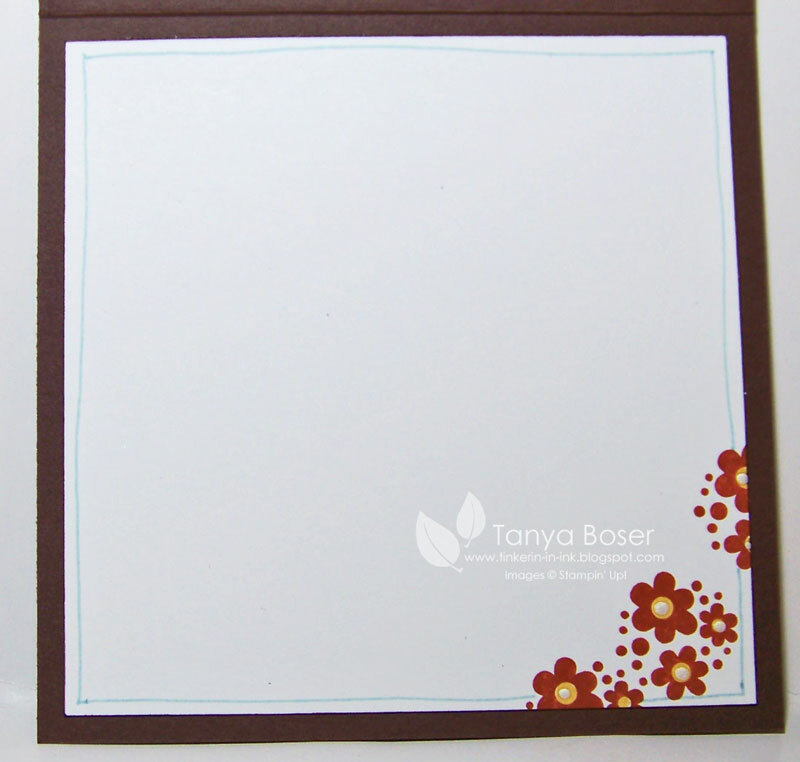 I had planned to do 12x12 pages as the Make and Take, but I had brought the makings for one card :) See how smart I am, by accident! And you thought smooches were just for girls, lol! This is the last of MY contributions to this swap. I really want to do another swap like this with the new catty stuff! And the retiring list just came out for the current catty, and holy cow! We are going to have TONS of room for new stuff!! I am so excited! Sadly, this set is on the list, so hurry up and order it before it is gone!! 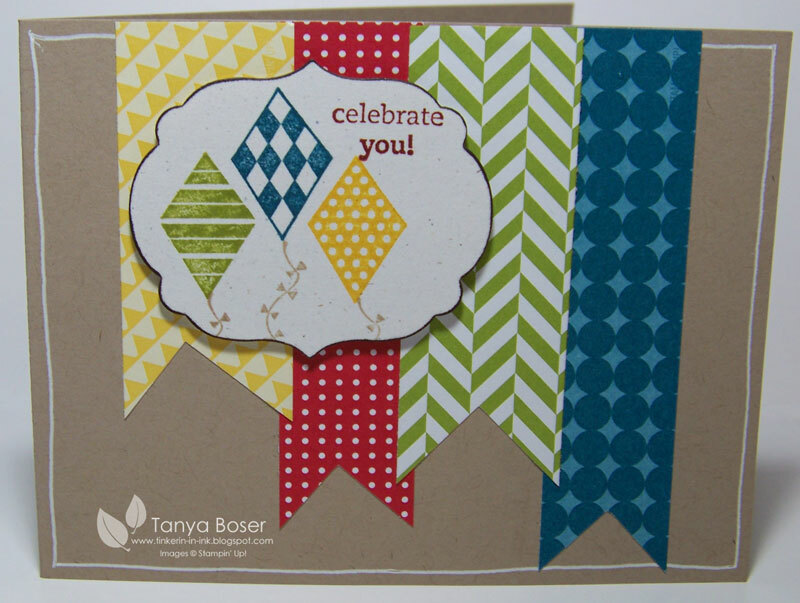 We have until May 31 to order retiring sets. Ok, so about these cards, lol! I just love how this turned out, lovely just as it is. Amazing how paper and ink alone can be so lovely. 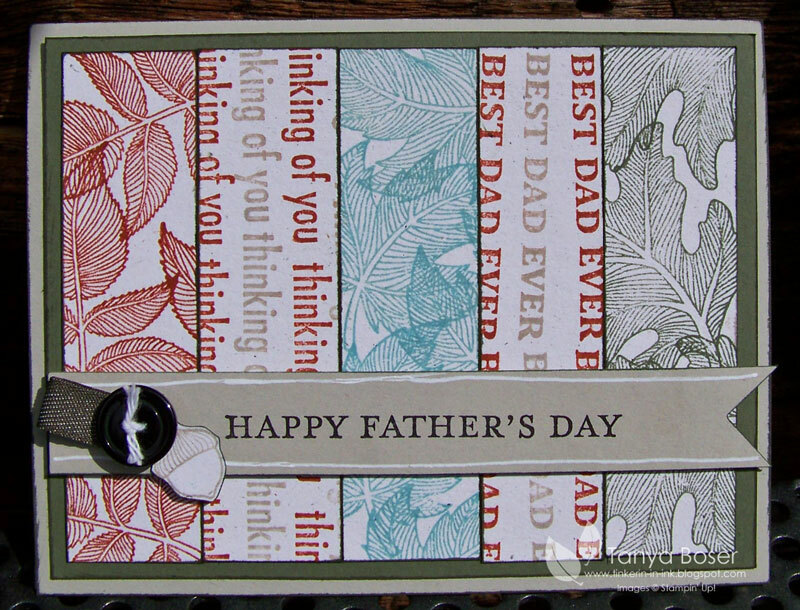 I did some generation stamping with the leaves, stamping twice without re-inking between. 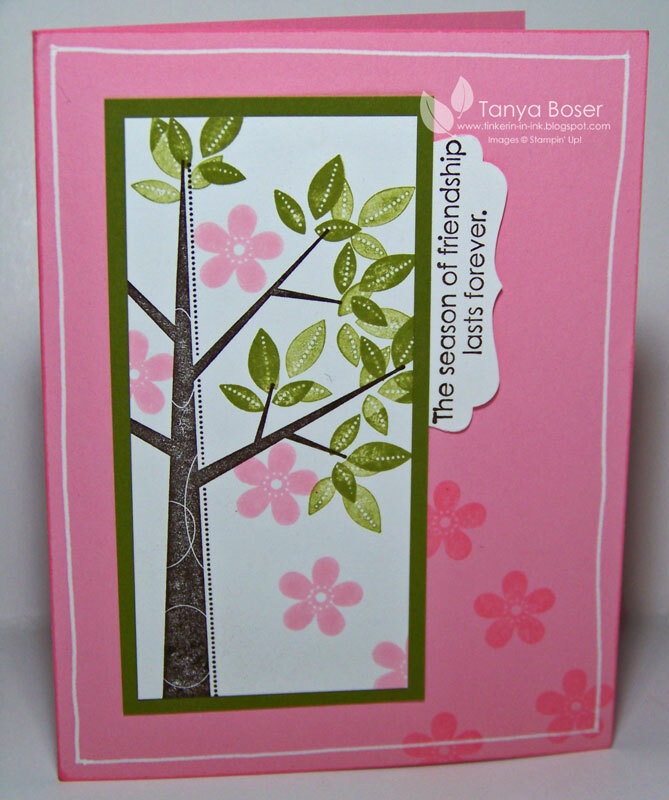 I love how the flowers drift off the main image piece off onto the card base and drift off the corner. And with just a few extras, it brings this up a notch! 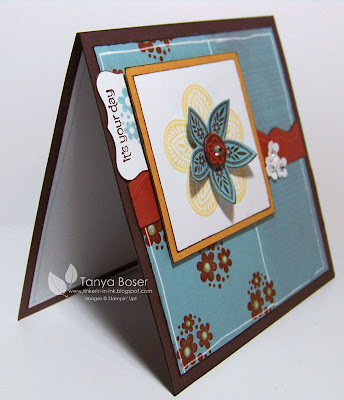 A bit of embellishment and some dimensionals, and see what difference that makes! And all of the ink and paper are in the Getting Started collection! I really tried hard this time. The Color Coach helped a lot, it actually has suggested combos that are labeled Getting Started. Did you know that? I didn't until I was doing this swap! I can't wait to keep showing my swaps, so if you are participating in this swap, close your eyes! By the time I started designing my second set of swaps, I thought I should try to stick to the colors in the Getting Started collection. 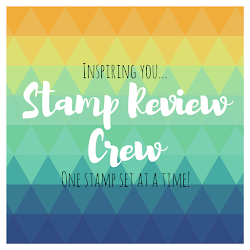 New stampers can get pretty overwhelmed and the Getting Started collection is a nice way to, well, get started! I stretched it a little with the Crumb Cake though. 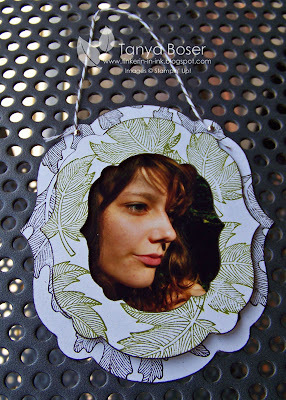 This is the first version, good for a Make & Take. Yes, I am still working on doing limited supplies... but when you have all kinds of stuff, it is really hard not to use it! 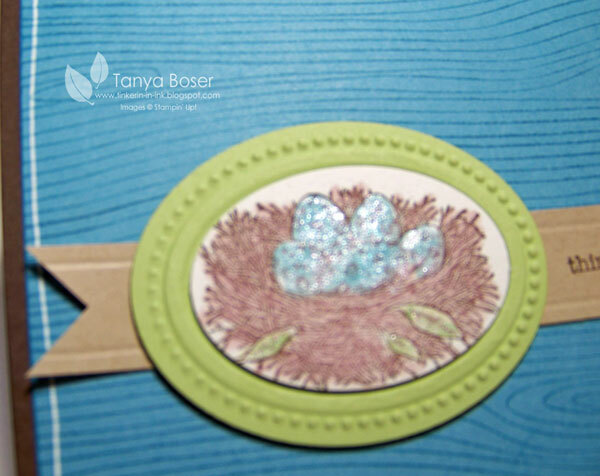 I used punches, a background stamp, and the white gel pen. I somehow managed to NOT use the Big Shot here. That takes effort I tell you! 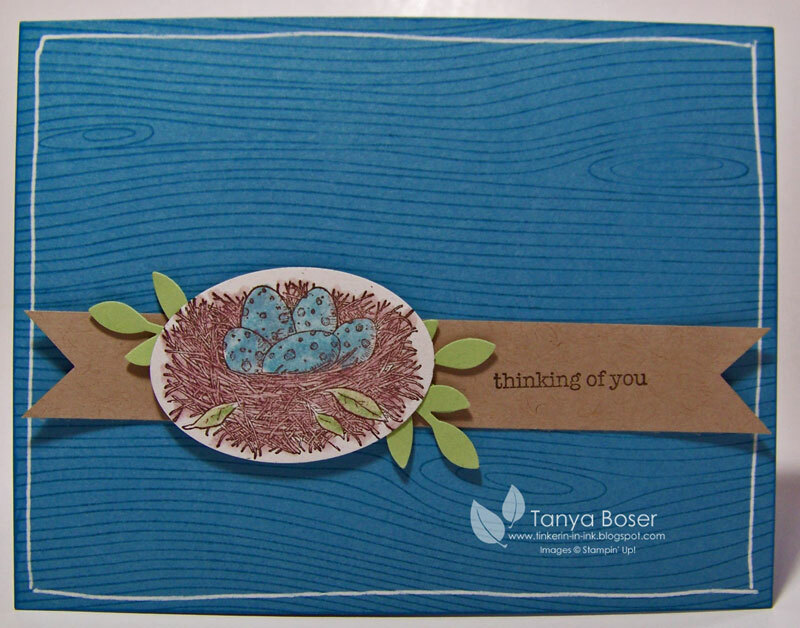 The main image is stamped on Naturals White in Early Espresso, I used a blender pen to blend the Early Espresso ink to color in the nest, then used the blender pen and Certainly Celery, Garden Green and Marina Mist ink to color the leaves and the eggs. The stepped-up version adds a Early Espresso card base, the use of the Simply Scored and the Big Shot, and a few other goodies. I hope you can see the shimmer of the Accent Ink on the eggs and the leaves here. 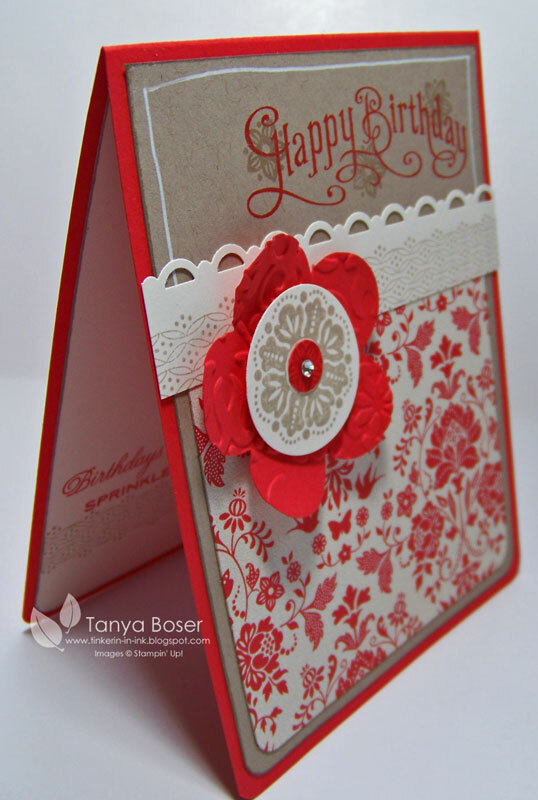 It was tough to capture on camera., but it adds such a wonderful effect on the card! 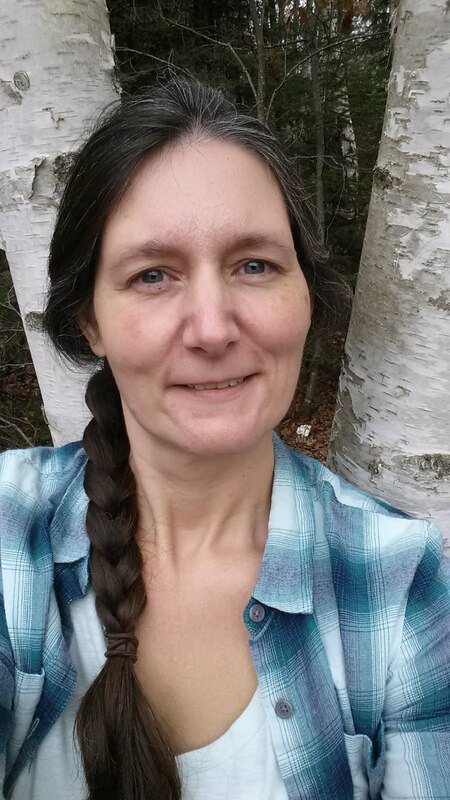 I have one more Step-It-Up to share with you in the next couple of days, so stay tuned! This was a super fun swap. 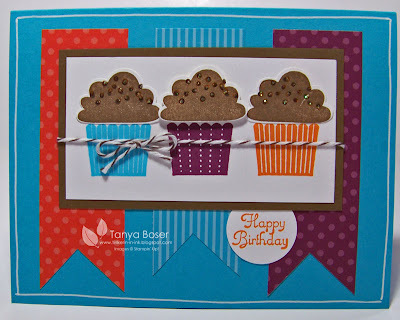 The concept is to make a card with minimal supplies that is super cute to use for a Make & Take at a workshop, then to make a stepped up version to demonstrate at said workshop to show customers how you can "Step it Up" with a couple of embellishments or a technique. Love this idea! I signed up for 3 groups. This is one of them. Here is the Make & Take version. Cute right. I am totally in a dovetails/banners phase. Love them! 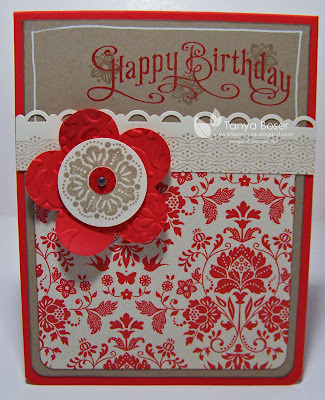 This card is cute, simple, and fast. And this is the "stepped up" Demonstrate It version. 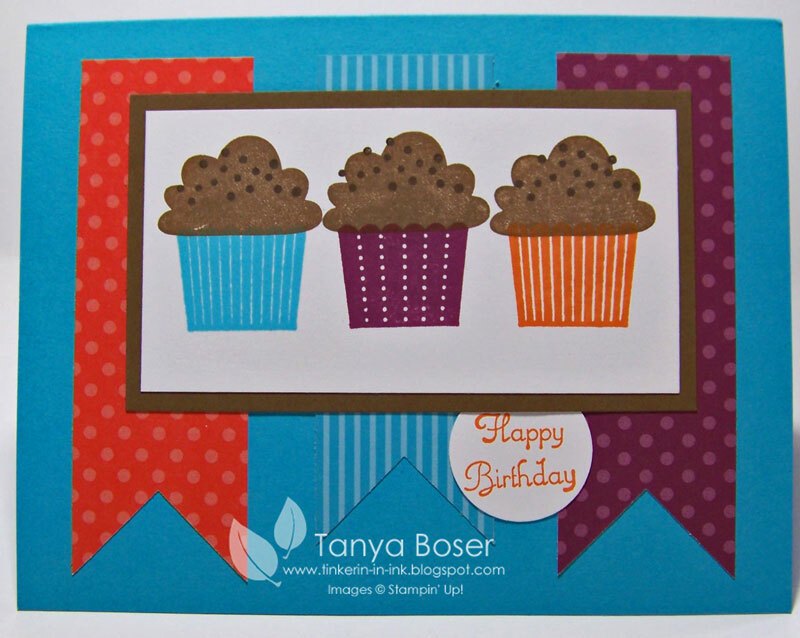 I used the Cupcake builder punch to punch out the cupcake frosting images, popped the middle one up with a dimensional. Tied some Bakers Twine around the main image panel. 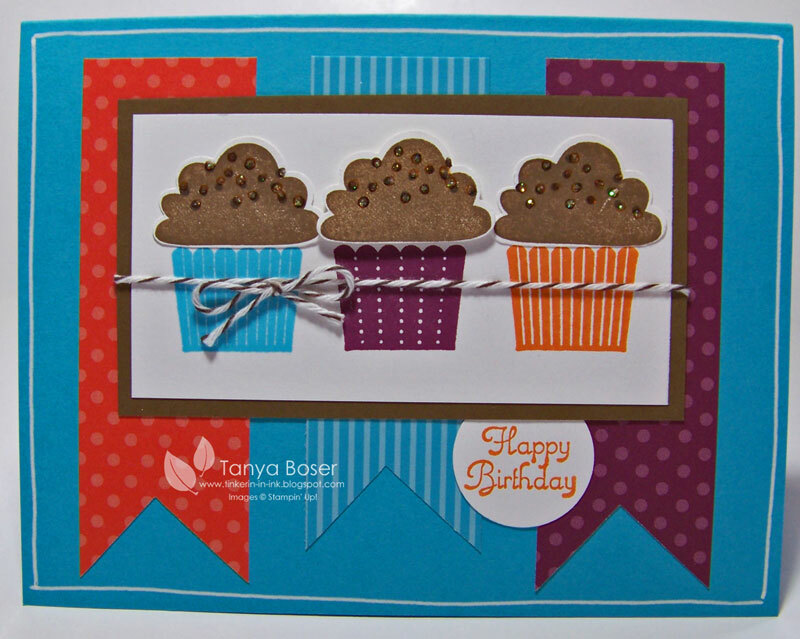 I also added some Dazzling Details glitter glue to the sprinkles, and outlined the card base with a Signo white gel pen. Now, how fun was that?! I think this kind of swap is a wonderful idea.